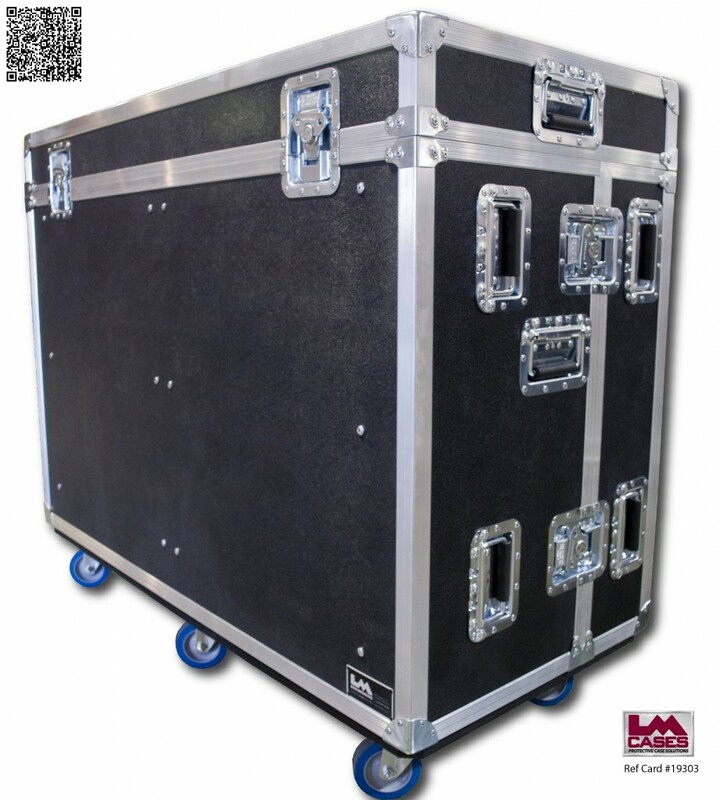 This case was designed for the Audio Visual Professional Group. 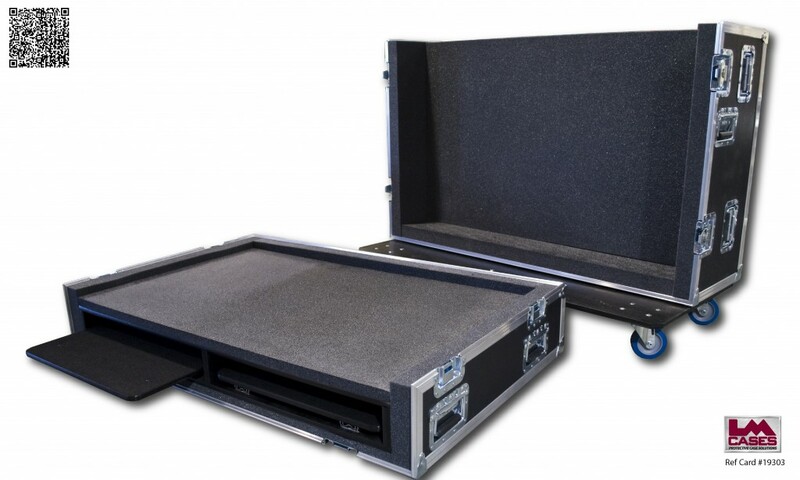 The case is a 3 piece console case with a removable top and front lid. The removable top lid features 2 foam lined compartments for up to 19" widescreen monitors, there are also 2 slide out keyboard trays under the console. 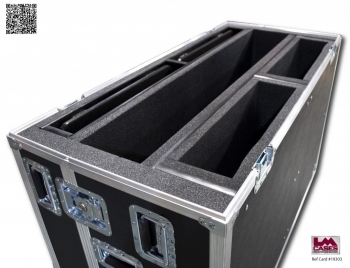 The case is built out of 3/8" plywood and features deep recessed handles and 4" Colson casters.